Cook chicken with 1/2 tsp pepper powder and salt adding enough water. Shred or mince it and keep it aside. In a bowl, add minced chicken, cheese, onion, pepper powder and salt, mix and knead it well and make small lemon- sized balls out of this mixture. Beat egg in a bowl and dip each ball into the beaten egg and roll it in bread crumbs. Definitely a kid's pleaser, love to munch some balls rite now. 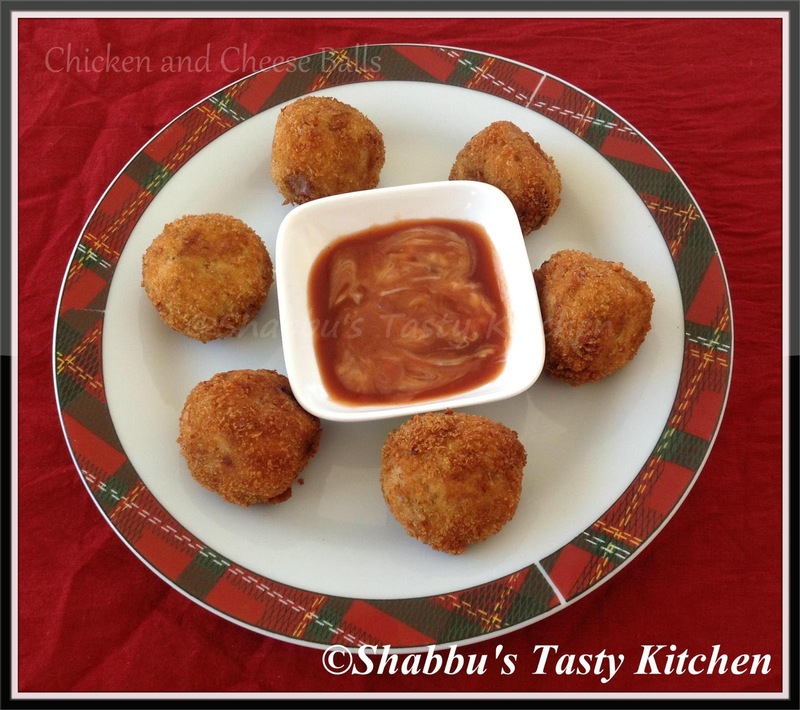 Irresistible chicken balls with full of cheese. Please pass me few........mouthwatering here. Yummy chicken and cheese ball, Love it.